"You never count on the perfect plan. The perfect plan, it has too many moving parts... you got to expect the perfect plan to fail." There are a number of impossible situations of the miscellaneous kind, such as trains being whisked away in between two stations or an entire house vanishing over night, but they are uncommon because they're hard to do convincingly – not to mention the lack of wriggle room for an original solution. The doppelgänger of folklore is another example of an inviting premise trammeled by a limited amount of options to work with, if the supernatural has to be kept outdoors. Helen McCloy's suspenseful Through a Glass, Darkly (1950) and Time Waits for Norman (1998) from the Jonathan Creek TV-series seemingly did everything that was (fairly) possible with the premise, however, Charlotte Armstrong found a nifty and clever way to extract some extra mileage out of the doppelgänger-ploy in The Dream Walker (1955) – which has also been published as Alibi for Murder. 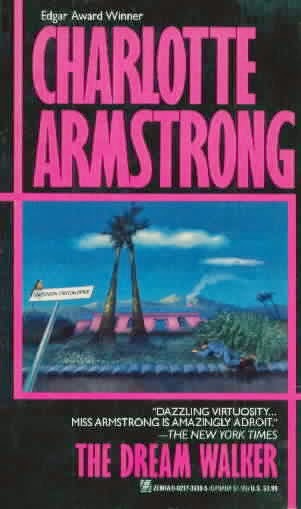 Armstrong's twist lies in not coming up with a brand new solution to the problem, but showing the reader the ugly, plain woodwork behind the plot to assassinate the character of the respected John Paul Marcus. The reader knows from the offset who, why-and how and this makes The Dream Walker an inverted impossible crime story (another rarity), but the advantage is that the astral projection trick can be played up to full effect for story telling purpose. You're sort-of committing yourself with a locked room premise to deliver some kind of clever or original trickery at the end. The Dream Walker tells the reader from the beginning Raymond Pankerman, third-generation millionaire, financiered the smear campaign against Marcus, after the latter alerted Uncle Sam of the illegal activities of the former, by offering a fat reward to Kent Shaws – brains of the outfit and slightly unhinged. Cora Steffani and Darlene Hite round out the team. Shaw's crazy scheme begins like a benevolent urban legend after Cora passes into a trance for the first time and dream walks. Miles away. Usually in another state of the country. There were even people who confirm to have talked to Cora while she was laying unconscious in another circle consisting of impeccable witnesses with no reason to lie. While suggestions of an elaborate publicity stunt and "there are more things in Heaven and Earth" are being volleyed around, the reader can feel smug the entire time for knowing more than the characters trying to figure out what's happening. You're far more willing to go along with the insane scheme, because the inverted structure of the story makes the reader feel like a silent partner in the plot. You can simply sit back and look bemused at the unfolding events, complimenting Armstrong when she throws in an uncontrollable variable in the perfect plan of the foursome – forcing the dream walker to stumble over a body. It does, however, give the story traction in the press and Marcus eventually finds himself in a compromising position and nobody believes it when everybody swears, Marcus included, he didn't receive an envelope from the dream girl. 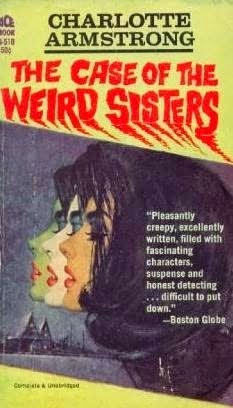 As noted in my review of The Case of the Weird Sisters (1943), it was Patrick, blogging At the Scene of the Crime, who propelled Charlotte Armstrong higher up my wish list (thanks!) and have to agree on two of his main points: it’s a strong statement against the witch hunts of the McCarthy-era and Armstrong knew how to pen a suspenseful story. Once again, this simple trick, made complicated for the sake of being complicated, worked admirably because of the inverted angle for the reader. The moment everyone in the story has figured it out the reader doesn't respond: oh, there were two of them, because that was never the point. Armstrong could focus completely on the characters and their exploits. I have to add that I still think Patrick Quentin's Black Widow (1952) is the best persecution / suspense story of its kind, but The Dream Walker comes in as a close second. So I'll definitely be returning to Armstrong. By the way, you can all be proud of me: I resolutely said no when a punning post-title, "A Trance-Continental Flight," suggested itself. None of that Tom Foolery on this blog! "The lamps are going out all over Europe..."
The first conflict of interests on a global scale, usually referred to as The Great War or The First World War, is often cited as the start of the Golden Age of Detective Fiction, however, there are barely any war-time set mysteries from the period – unlike the abundance of World War II mysteries from twenty odd years later. "The Signaling from Scarthoe Hill..."
Well, I found a rare World War I spy/detective story when thumbing through my copy of Locked Room Mysteries and Other Impossible Crimes (1991), "Flashlights" by Laurence Clarke, published in the May issue of The Strand Magazine of 1918. The story is illustrated by Warwick Reynolds. I had flicked pass the entry of the story before, but it was an uncollected, stand-alone story and only just noticed the publication date. It was a public domain story and available, fully illustrated, here as part of the collected issues from January to June. The impossibility of "Flashlights" are the streaks of magnesium-lights being sent up to the sky from Scarthoe Hill, signals to German submarines, and they've cost to British navy two ships as a consequence. To stop the signals, Captain of the Coastguard, Evan Carlton, hermitically sealed off the hillside with a cordon of troops, but the flares persevere. Carlton himself witnessed, through a telescope, the flares being sent up and the barrier of soldiers closing in on the spot where the light emanated from – only to discover the place completely deserted. No. The solution has more originality than revealing the spy was wearing a soldier's uniform and blended in with the cordon sanitaire, but the answer does own some debt to ideas from its time and its predecessors. A special-agent attached to the Admiralty Secret Service, Terrence Milner, is dropped from the sea on the land in a one-man amphibious landing and takes cover in an abandoned house. Milner expects to be staking out for days or even weeks, but the flares are soon lighting up Scarthoe Hill again and the manor is suddenly everything but deserted. Laughter is heard. And Milner is confronted with an unusual homely picture. Milner's landing and investigation of the house are the best portions of the story. It's a nice bit of suspense with a wartime setting with an impossible problem lurking in the background and reminded me somewhat of John Dickson Carr's excellent Captain Cut-Throat (1955), which is a historical spy/mystery set during the Napoleonic Wars. I wonder if Carr was aware of Clarke's story. The last part of "Flashlights" slightly diminishes the overall quality of the story with some Victorian love-friction between Milner and a woman, whom he tries to third-degree from her German husband – who's unflattering depiction can be attributed to the "Down with the Hun" position of the Brits at the time. Overall, "Flashlights" is noteworthy as both a detective-and locked room story, because of its unique setting, impossible problem and (historical) ties to the Scientific School of Detection. It's a short story that's more than worth the few minutes it takes you to read it and can be found (again) here. I hope to back with another review before long, because I'm halfway through a very unusual (inverted) impossible crime story. "It does help the reader relate events to setting, and does so accurately and with a sense of atmosphere. As a combination of decoration and usefulness, it's probably the best of the lot." I unearthed a spiral-bound book during a minor restructuring of my shelves and it's one of those books I intended to read, but lingered on the pile before being shelved. Well, Piet Schreuders' The Dell Mapbacks (1997) is actually more of a diary posing as a booklet than an actual book. It goes in a few short chapters, fourteen pages in total, over the history of the immense popular and highly collectible Dell Mapbacks – distinguished by their airbrushed cover art and crime maps on the back covers. Schreuders is a graphic designer by trade and admirably adopted the Dell Mapback style-and trademarks for the compilation of The Dell Mapbacks, which is plainly a labor of love of a collector/fan. The book even opens with What This Book is About ("a series of highly collectible BOOKS published between 1943 and 1953"), Wouldn't You Like to Know ("who murdered the DELL historian, William H. Lyles?") and Persons this Book is about – followed by a dramatis personae and a List of Exciting Illustrations. Dell Books was brought into being in the middle of World War II when Dell founder, George T. Delacorte, Jr., needed paper to print books and Lloyd Smith of Western Printing & Lithographing wanted printing work, but the most eye-brow raising from this chapter was how these beloved collectibles were abridged or even censored! "Some books were abridged drastically so as to fit Dell's page requirements" and "although the front cover blurb... suggested that the books were complete, they rarely were." And worse: "one compositor, Ralph MacNichol, spiced the house style with his editorial judgment by removing words like Christ, Jesus, and Goddamn." It's good to see one moral arbiter had to foresight to see the possibility of the nazi's eventually opening a North-American branch of the Kultuurkamer and brushed up on his résumé just in case. Hey, I had to raise that petty censorship with a Godwin. 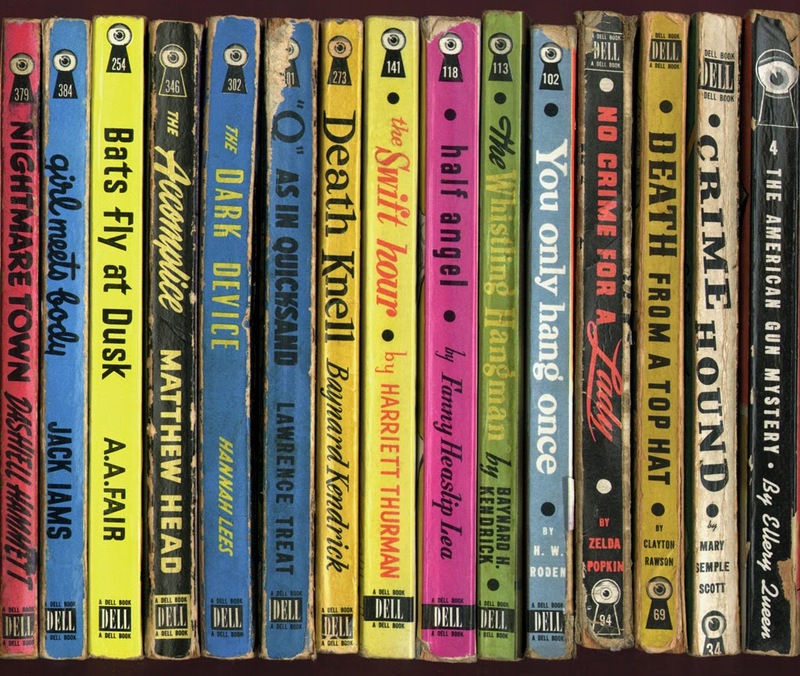 The following chapter concerns the art-department of Dell Books and in particular the work of Gerald B. Gregg, who painted the covers of 212 novels and drew a couple of back covers, and praised for "extraordinary skill with the airbrush which made the Dell covers of the 1940s unique in appearance." 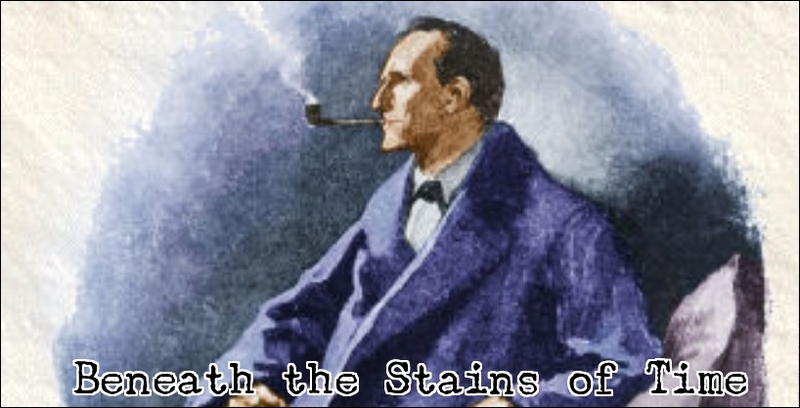 True to the nature of a detective story, Gregg was "resorting to the tricks of the time to get the effects" such as pasting a paper doily onto the bottom of a painting (i.e. cover of Fanny Heaslip Lea’s Half Angel, 1946; a romance novel). The Dell Mapbacks reproduces fourteen of Gregg's covers in this book. Another artist mentioned in this chapter is Robert Stanley, who used himself as a model for characters such as Sam Spade, Mike Shayne, Hercule Poirot and Zorro! However, it's the crime map on the back covers that stands out as the standard feature among these Dell Book trademarks, and the feature that keeps drawing-in readers, but they probably cost them the most work – from editors and volunteers to map specialists. Something worth mentioning is that Schreuders included two of his own (fake) mapbacks, but they are truly astonishing pieces of art! I especially liked the map showing the location, Haags Gemeentemuseum, of the first international paperback art exhibition in The Hague, in February, 1981. The chapter also notes Dell historian, Lyles, discovered the identity of a prolific crime back artist, Ruth Belew, who drew 150 (or so) in the series. The historic overview of Dell Books ends on a sad note with the story of William H. Lyles, writer and researcher, who wrote a biography of the Dell Books entitled Putting Dell on the Map (1983) and it's reputedly a meticulous analysis of the stories in comparison with the artwork/crime maps. Unfortunately, there were personal and financial problems for Lyles (resulting in selling-off his entire and complete collection of mapbacks), which ended with him snapping and committing suicide after shooting (and wounding) his then girlfriend in July of 1996. The remainder of The Dell Mapbacks consists of a diary for 1998 and interspersed with replications of front-and back covers of various Dell publications – from mystery and romance to western and science fiction. Flipped through the book again, but it's hard to pick a favorite. Even the simple map of the European Theater of Operation, from the back cover of Eisenhower Was My Boss (1948; Kay Summersby), makes me want to seek out that book. Long story short, The Dell Mapbacks is an interesting curio and as collectible for Mapback collectors as the original books. And Schreuders included a list of essential reading, if your interest has been piqued on this niche subject. Yes, I just rambled for more than a full page on what basically amounts to a calendar/diary from 16 years ago, because it had some background info in it about a defunct publisher of detective stories from the 40s. Again: welcome to the niche corner. 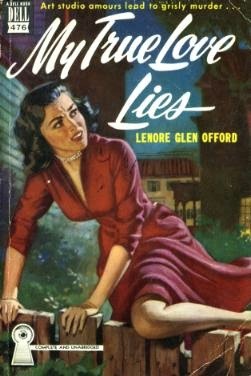 "For in the long run, either through a lie, or through truth, people were bound to give themselves away..."
After a brief, unannounced leave-of-absence from this blog, I've been slowly picking up my normal reading pace and managed to finish My True Love Lies (1947) by Lenore Glen Offord in just a few days. And no, contrary to the title, it's not a sugary, one-note romance novel, in which true love stands as the sole survivor, but a bone-fide detective story by a writer who served as the mystery critic for the San Francisco Globe for three decades – and stood-in for Anthony Boucher whenever he was unavailable during World War II. My True Love Lies is set in the year following Allied victories over the Axis powers in Europe and the Pacific, but civilian and military life is still entwined in the San Francisco of 1946. The streets are filled with navy uniforms and the story's protagonist, Noel Bruce, has a job as a government job as a paid driver while she studies (line-) drawing at the Sherwin Art School. Noel is also friends with a charming and good humored Navy commander, named Miles Coree, who came back to San Francisco to find his fiancée married to another man. A great detective once observed artistic blood is liable to take the strangest forms and the body found inside an unfinished war sculpture, a clay model called "Woman at the Grave," can attest to that statement! Offord is represented on my best-of list with The Glass Mask (1944), because it’s an excellent treatment of the "perfect murder" ploy without a cop-out ending and an example of the kind of detective stories American's weren't suppose to be writing at the time: the kind set in a small and sleepy country-side town in which time has crept forward instead of marched. My True Love Lies doesn't bat in the same league as The Glass Mask, but the writing plainly shows Offord knew her way around a plot. The reader is constantly kept busy with mysterious developments and analysis's of the crime. There are crimes from the past lingering in the present and unknown pursuers are harassing Noel and the relationship between the different characters become more, and more, entangled. There are the "Five Scared Artists:" Noel, Anna Tannehill (it was her sculpture in which the body was discovered), Will Rome, Rita Steffany and Paul Watkins – who's inseparable from his cousin, Daisy. This lot is rounded out by the head of the art school, Eugene "Papa Gene" Fenmer, a brash reporter from the Eagle, Red Hobart, a derelict known as "Old Dad" and the ex-wife of the murdered man. And they all gravitate towards the scene of the crime. Offord actually came up with a clever solution as to why the corpse was hidden in the clay model (other than dramatic effect) and there was a nifty double-twist at the end, which made My True Love Lies an above average mystery novel. It missed that special spark to make it really great, but it's definitely better than similar artsy-themed detective stories such as Dorothy L. Sayers' Five Red Herrings (1931) and Ngiao Marsh's Artists in Crime (1938). In parting, here's a nugget of wisdom tugged away in the opening of the second chapter of My True Love Lies and reflects on the news playing up the Bohemian angle of the murder case: "Like many journalistic implications, these were partly true and mostly a long way from accuracy." We're almost a century removed from the publication of this book, but I'm afraid this little quote still holds some truth today considering you could make a special-edition DVD box-set for 3D home entertainment systems of the recent news coverage of the missing Flight 370 with downloadable content of Jesse Ventura taking the viewer through all the conspiracy theories. Well, enough filler writing for one review and I'll probably grab a good, old-fashioned locked room mystery from the shelves for my next read.